It seems that not all our imaginary friends have found a safe home like Foster’s. And so it falls upon agents Dave and Terry and the crew of I.M.A.G.I.N.E. to keep things cheery for the world and safe for children. 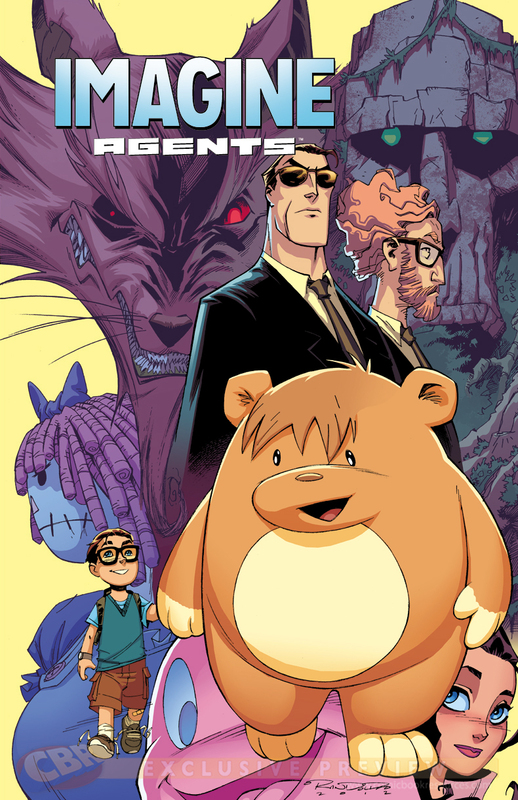 That’s the idea behind Imagine Agents, a new full-color comic book mini-series from Boom! Studios. You see, adults cannot perceive a child’s imaginary friend (referred to as a ‘figment’ in this world), unless they have the special equipment that our trusty agents from I.M.A.G.I.N.E. employ. Check out the preview at Comic Book Resources and it’ll all make a lot more sense. Imagine Agents is written by Brian Joines (Noble Causes) and illustrated by the artist known as Bachan (Justice League). Look for it starting later this month.